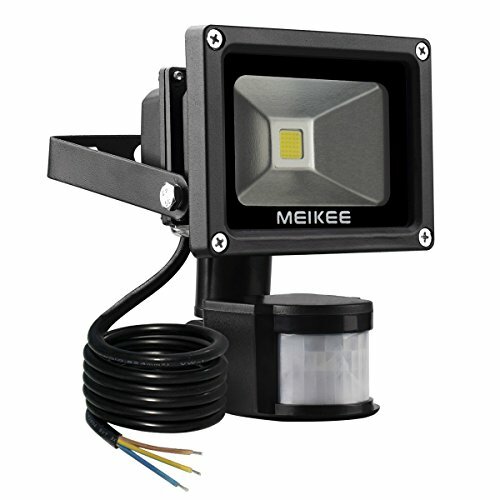 ✔Upgradation: Packed with 30 led special chips and sealed by COB, Multi LED good Concentrated light,uniform beam. ✔Energy Saving: Achieve the same 60W halogen bulb Equivalent lighting, Save 80% on electricity bill, Outdoor Waterproof IP65. ✔Application: Large indoor and outdoor use for basketball and football pitches, garden, car park, hotel and forecourt. ✔Warranty: Any Question, Contact MEIKEE, 2 Year Warranty, 90 Day Full Money Back Guarantee Or Get a new one as a replacement.